Rectangular, to fit last type dash (9/69>). Fits in hole like fan switch etc. 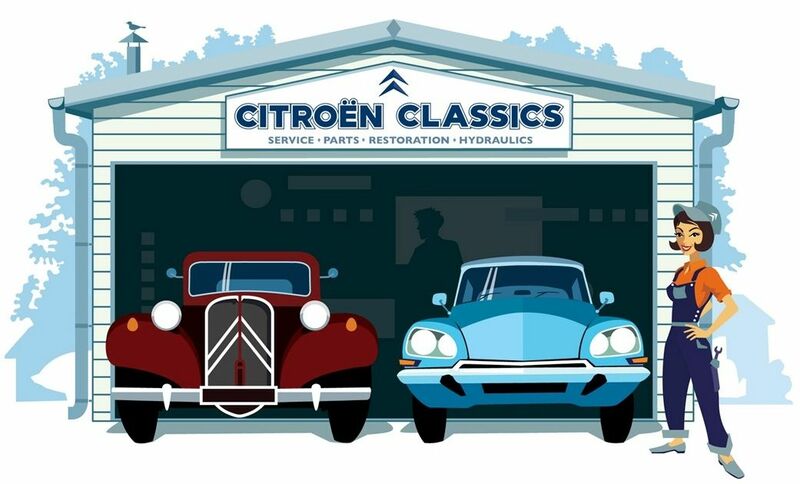 Also suitable for use with 2CV, GS, CX, H Van etc. 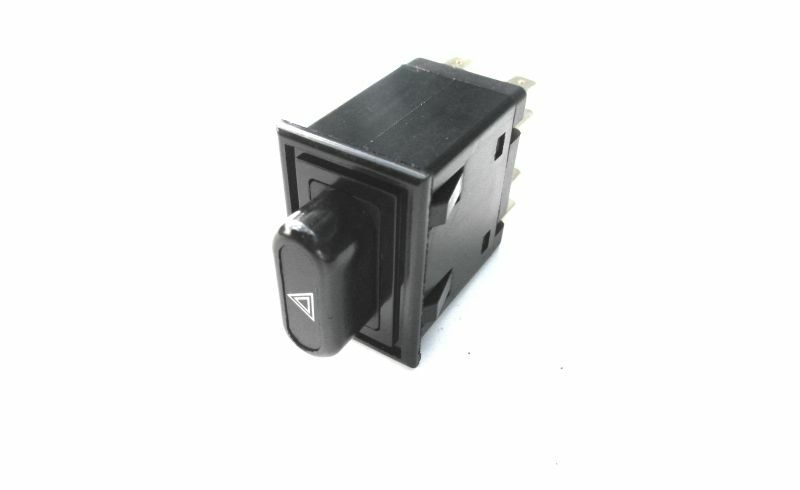 On the back of the switch there is a group of 4 terminals and a group of 3 terminals. Insulate the group of 3 terminals and just use the group of 4 terminals. These 4 join together when the switch is on and are all are disconnected from each other when the switch is off. 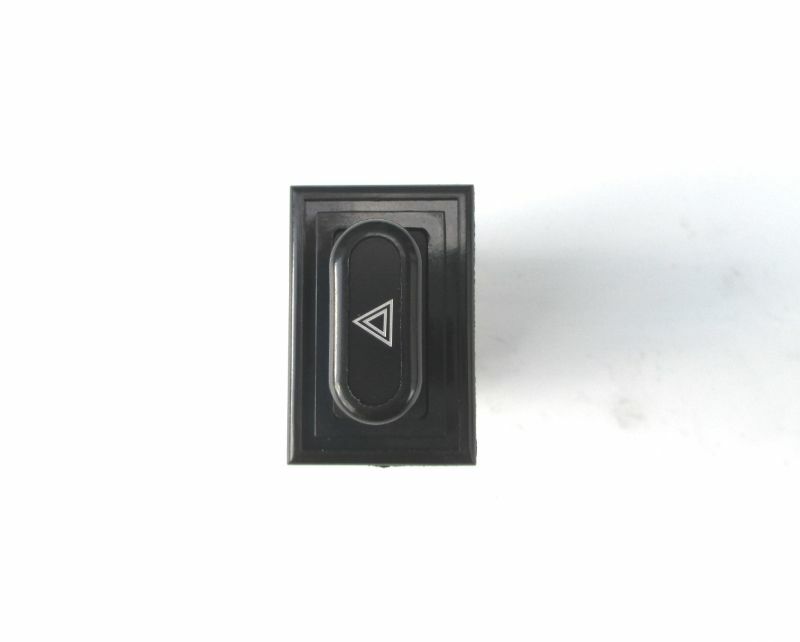 Connect the permanent live via a flasher relay to one of the terminals, the dash warning light to another, the left indicator circuit to another and right indicator circuit to the remaining terminal. It does not matter which goes to which terminal.